Stan and Joan have been active members of B'nai Aviv for the past eighteen years. Stan has served on the Ritual, Education, and Adult Education committees and on the Temple Board. Joan has served as Secretary of Hazak since its inception and helped with programming, refreshments, publicity, membership. Before retiring Joan worked for the Broward Sheriff's Office and Stan was Director of Education at two local temples and also served as Judaica Director at the David Posnack Jewish Day School. We are looking forward to a very successful year with dynamic programming at Hazak. I am looking forward to my second year as the President of Sisterhood. My family and I have been members of B'nai Aviv for over 17 years. My son Ryan, started at 16 months in the preschool. He is now graduating high school and going off to college- go Noles! He is still close with the friends he made going through preschool and Hebrew school, and some of my closest friends are those parents. There is a comradery that is fostered at B'nai Aviv, and that is why to this day, we still remain very active, even my incredible husband, Mark is on the board. In my spare time, I love playing canasta with the girls, traveling and cooking. My baking abilities can be tasted many Shabbats at the Onegs. I loves being involved with Sisterhood and have a big appreciation for all the wonderful women who are always very supportive and dedicated to ensuring the success of the organization. I encourage all the ladies to get involved, we have so much to offer- it's never too late! Mark Kleinman is the Southeastern States Director for AIPAC. He has been a resident of South Florida for the better part of 20 years. He lives in Weston with his wife Lisa and two sons, Michael (15) and Matthew (12). Being a part of the B'nai Aviv family has been an absolute blessing for the entire family. 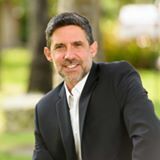 A veteran of the Israeli Air Force who participated in the Yom Kippur war, Bruce has being active with the Jewish community in South Florida since graduating from Washington University in St Louis. The Jewish Federation, Jewish National Fund, Jewish Family Service and Israel bonds are among several of his favorite organizations. 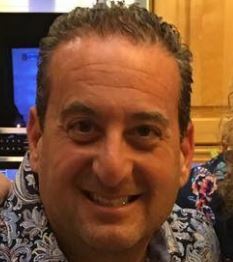 An immediate past chairman of Aipac in Broward and a member of Aipac National Council have been his most recent activities. He has been a member of B'nai Aviv since it’s founding. What he is truly proud of is his recent involvement with teaching the B'nai Aviv ECEC children how to garden and grow vegetables ! I have been a member of Bnai Aviv for three years and am looking forward to making our synagogue the right community for my family. I have been involved in Conservative synagogues all my life either as a youth director or as a lay leader on the Board of Directors. I look forward to sharing my passion and energy with my newly found home here at B'nai Aviv. I am excited to learn from experiences of other leaders and also lead by example to ensure that our Kehillah will be here for our children and future generations. Nathan J. Avrunin is an attorney concentrating in personal injury and contract disputes. He has two children both at Cypress Bay High School who were fortunate to have begun their education at 18 months old at B’nai Aviv’s Early Childhood Education Center through the excellent Hebrew School program including Bar and Bat Mitzvah. Nathan has been a member of B’nai Aviv for 16 years and began on the Board 6 years ago after serving on the successful Rabbi search committee that ended with the hiring of Rabbi Adam Watstein. He created the Security Committee to work with the Executive Director in identifying and resolving potential issues at the synagogue. He has travelled with his children twice to Israel with B’nai Aviv and recommends and hopes that more members get to experience Israel with Rabbi Watstein. Nancy Karsh and her family been members at B’nai Aviv since June 2015. She has a 12 year old son who will be Bar Mitzvahed in October of 2018. Nancy is a practicing tax attorney and looks forward to getting more involved with the B’nai Aviv community. Robin and her husband Alan chose Bnai Aviv 15 years ago when their son was entering pre-school because of the ECEC’s outstanding reputation and the friendliness and warmth of the Bnai Aviv family. Over the past 15 years they have celebrated many happy occasions at Bnai Aviv including Robin’s adult Bnai Mitzvah and their son’s Bar Mitzvah. Robin is an active member of our Sisterhood and as a Human Resources and Training Professional she has assisted the temple in areas regarding human resources and search committees and is honored to be sitting on the board as a member at large on the Personnel Committee. Andy Lessem has been a Weston resident and member at B'nai Aviv for 19 years. He is a current Board Member and previous multi year Men's Club President. Andy is an active gym, outdoor and sports enthusiast and spends his free time with his 3 children, all of whom grew up at B'nai Aviv. Karen Saster moved to Weston 20 years ago when she and Jeffrey married, and they quickly became active members of B’nai Aviv. Jeffrey had been a founding member, Karen took on Sisterhood responsibilities and daughter Jennifer assumed leadership roles in USY. Karen retired from her guidance counselor position with MDCPS in 2006 and worked part-time for Nova University and FISP. She then became a fulltime volunteer for community agencies including Broward Jewish Federation, CAJE, Jewish Community Foundation, Jewish Women’s Foundation and AIPAC. As a staunch supporter of Israel, Karen has chaired the Israel and Overseas committee at Federation, been on the Israel and Overseas Impact team for years and recently completed the AIPAC Women’s Leadership Institute. At B’nai Aviv she has been the Israel Affairs Chair for four years and joined the board last year. She wants to continue to bring meaningful Israel programming to B’nai Aviv as well as support direct contact between members of B’nai Aviv and Israelis through the Broward/Nesher partnership.